A PLANNING application which threatened to pit Molesey Juniors Football Club against residents has been declared invalid by Elmbridge Council. MJFC had applied to the council for permission to extend its car park at Neilsons Field off Molesey Park Road to 115 spaces, which would have meant laying hardstanding for 47 additional spaces on the green belt. The matter had been due to go before councillors in June but the application was suddenly rejected by the council on grounds that more information was needed on ‘transport implications and tree protection’. Residents of The Wilderness, Molesey Park Road and other streets had written letters of objection arguing that the area was being deluged with cars on match days but that extending the car park would not solve this. 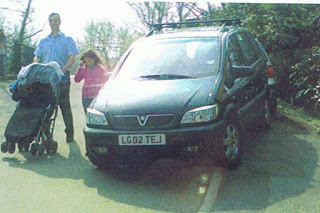 In an eight-page objection The Water Garden Residents Company - a body which represents households in The Wilderness - argued that: “The car parking facilities have rarely been able to accommodate the traffic generated by the club resulting in illegal parking on pavements in residential roads and causing a risk hazard to pedestrians. MJFC provides football at the field for around 300 young people for up to 10 hours a week at weekends. Objectors stress that they do support the club’s work in providing sport for the young, but want the parking problems addressed. These include parents and supporters leaving often large vehicles in the passing spaces of the narrow road bridge which leads to Neilsons Field, creating ‘congestion and danger’ from vehicles reversing back over the bridge. County Councillor Ernest Mallett, who submitted the parking space application as chairman of the Molesey Juniors Trust, assured that there is no truth to rumours that the club needs the extra spaces to expand its activities or to create a clubhouse with a late drinks licence. Molesey Conservatives are pleased to report that residents have since had positive talks with MJFC and are hopeful of working together to resolve the parking issues. We’ll keep you posted.